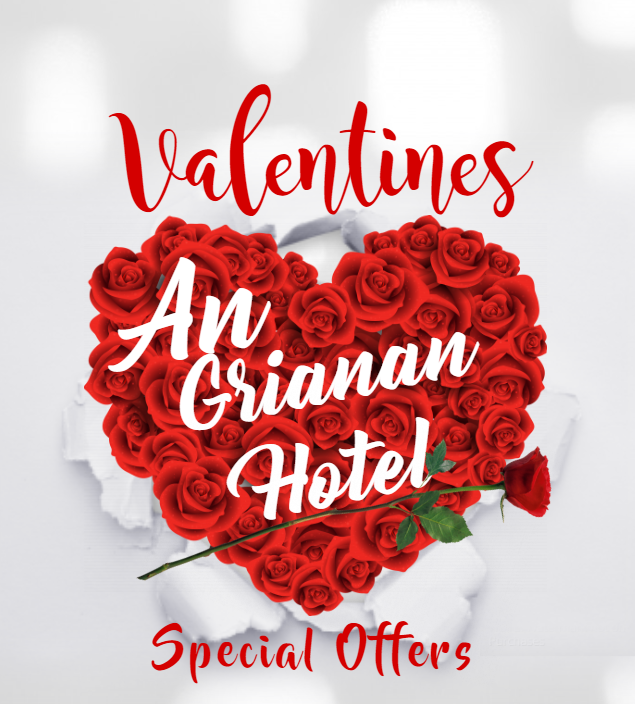 This Valentines' Treat your other half to a wonderful Romantic One Night Getaway in the An Grianan Hotel in blissful Donegal. You can enjoy a wonderful 3 Course Meal in our unrivaled, cozy Old Church setting with the finest local produce our Head Chef Ian Kinsella has to offer. What are you waiting for? Click Here to book today!